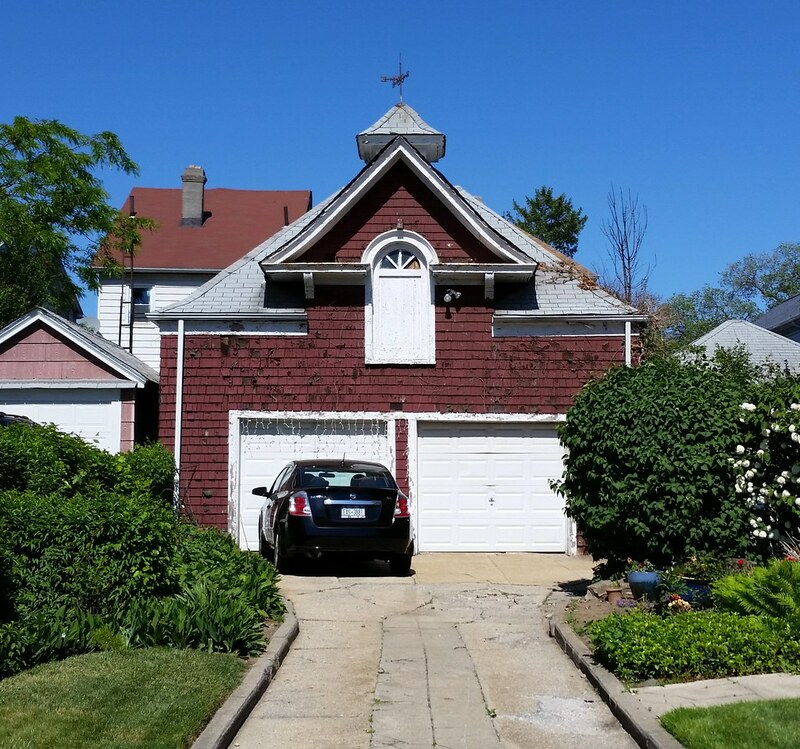 Located at 89-19 187th Place, this garage looks like it may have once been a carriage house. Standing next to it on the property is a stately, similarly styled dwelling where Lawrence Gresser, who served as the fourth Borough President of Queens from 1908 to 1911, moved in with his son and spent the final months of his life before passing away in 1935. Gresser was the third in an illustrious string of four consecutive borough presidents who were brought down by charges of corruption. Two of them ended up in prison, while another left for Italy on a steamer two hours before he was supposed to appear in front of a grand jury for questioning. Gresser, the saint of the bunch, was removed from office by the governor not because of any particular misdeeds on his part, but merely because he was deemed "inefficient and incompetent and . . . neglectful of his duty to protect the city and the Borough of Queens against fraud and corruption on the part of his subordinates". If the 3rd door is operable, it most likely leads to a hay loft.